Following the financial crash of 2008, many businesses in the UK have struggled to survive. Indeed many organisations have had to make use of the various insolvency procedures that exist. One of the main casualties of the recent financial crisis has been football clubs. 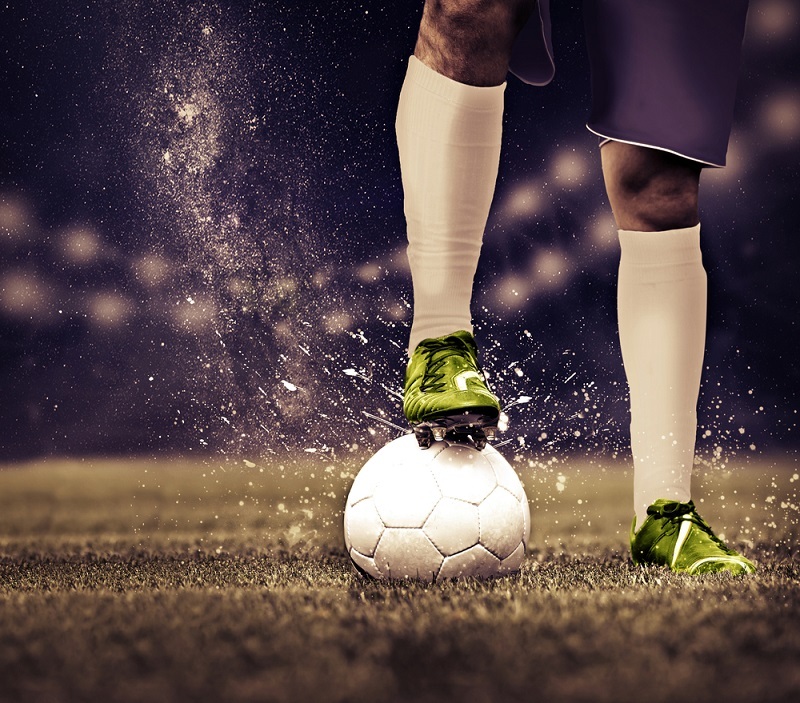 Many of the UK’s premier sporting groups have been forced to reassess their strategic and financial position, which has resulted in a number of them either changing their business structure or ceasing to operate altogether. While the financial crash had an impact on all football clubs, the experience of Scottish football clubs and their use of the insolvency regime have been some of the most widely reported. The most recent of these will be discussed within this article. The point of this article is to discuss the experience of some of the UK’s football clubs in the aftermath of the banking crisis, and explain their use of insolvency procedures. To see more of these types of guides - see our Sports Law Guides section. What happened in UK football? What happened in the football clubs? How did the Administrators start? What did the Administrators do? At the point of the UK banking crisis, many organisations realised that the business model they had been operating could not be sustained; the properties they rented or paid to upkeep became too expensive; the number of employees became too burdensome and; the commercial viability of their entire enterprise was brought into question. In essence, this is precisely what happened to many of the UK’s leading football clubs. The ‘beautiful games’ place in the hearts of fans made the issue much more emotionally charged compared with the instability of large conglomerates or financial institutions. The financial affairs of any business are complicated, and those of football clubs are no less so. The point here is to set out the main issues which led football clubs in the UK to make use of insolvency laws. Hearts’ financial situation was and remains very complicated. Much of Heart’s financial difficulties were connected to that of its part owner, Ukio Bankas. Ukio Bankas was a Lithuanian bank that was experiencing financial difficulties of its own, and held a significant shareholding in Hearts. The bank struggled to maintain its inner workings, and part of this was attributed to a number of financial packages it provided to Hearts, in turn becoming its creditor. Hearts was struggling to maintain its operation, which is why it turned to Ukio Bankas for financial assistance. Unfortunately, the monies provided by Ukio Bankas were not enough to meet Hearts’ needs and in turn the club failed to pay the wages of their football players. Furthermore, Heart’s financial situation was made worse by its holding a partly unpaid tax bill which HMRC was pursuing. As such, HMRC had threatened the bringing of a ‘winding-up’ order, if they were not going to pay the bill. It was in light of this situation that the company was put into Administration in June 2013. The financial position at Dundee was comparatively simple to that of Hearts and other football clubs. While the club did not have any difficulties with shareholders etc, it was still struggling to maintain its operation at that time. Like many of its comparator clubs, Dundee was engaged in a dispute with HMRC over an unpaid tax bill. Not unlike many operating in the commercial environment at the time of the financial crisis in 2008, keeping track of overheads is always difficult and even more so during a financial crash. The situation was no different at Dundee, who owed approximately £365,000 in unpaid taxes to HMRC. While the football club did offer to pay HMRC £100,000 in partial satisfaction of its debt, this was rejected. It was after this rejection that it was decided to place the club into Administration in late 2010. The experience of Gretna Football Club is similar to that of Dundee’s when it came to using the UK’s insolvency rules. The club had begun to experience severe financial problems in 2007-08, when it had accumulated debts reported in the region of £4 million. The financial aid that had up until this point come from some of the clubs owners, had been withdrawn owing to ill-health. The matter was complicated even more when it was revealed that the club owed HMRC approximately £600,000 in outstanding tax liabilities. These financial issues coupled with a very confused management let to the club being place into administration in late 2008. Of all UK football clubs, the position of Rangers was and arguably is the most widely reported and the most complex. As a club, Rangers had been experiencing financial difficulties since the early 2000s in owing a substantial sum to Lloyds Banking Group – a sum somewhere in the region of £25 to £30 million. The situation was made more complicated by the fact that the club was also in dispute with HMRC over the clubs using an employee benefits trust fund, which HMRC viewed as a vehicle for tax avoidance. Rangers’ financial position became public knowledge, following the club being sold to Mr. Craig Whyte for £1. The club was sold to Mr Whyte on a commitment from him that he would settle the debt owed to Lloyds and would provide investment for the club and its players. The debt owed to Lloyds was settled, through Mr Whyte engaging in another loan. However, the outstanding tax dispute with HMRC had not been resolved. Mr Whyte, upon taking ownership of Rangers, refused to pay the PAYE deductions from his employees’ salaries to HMRC. It was after this event that the club decided to place itself into Administration in February 2012. The discussion of the various scenarios that the football clubs faced demonstrates that each had a common problem; financial issues. However, knowing that each of the clubs faced financial issues is only helpful if there is then a plan to tackle them. It is for this purpose that UK Insolvency law was created, and the vast majority of it is contained in both the Insolvency Act 1986 and the Enterprise Act 2002. As was mentioned above, all of the clubs chose to enter Administration. Administration is one of the procedures that have been created to help organisations facing problems with their financials. However, Administration is quite unique in that it has a particular objective. Administration is designed, primarily, to save a business as a ‘going concern’. This means that where an Administrator is appointed to a business, his/ her first priority is to in-gather all of the information and do what must be done to save the business. This can involve a reduction in staff; the sale of company assets; or the ‘calling-in’ of outstanding debts. An administrator will only ever consider liquidating a business, if there is no way to save it. How did the Administration start? The situation is no different when discussing the experience of football clubs and the administration process. In almost all of the cases discussed earlier, it was the football club or its directors/ management board that placed the club into administration. The situation was slightly more complicated with Rangers FC. During his tenure as controlling owner of the club, Mr Whyte was found to be an unsuitable person to hold a position as a Director of the club owing to his being barred from holding such a post for a period of seven years, following an earlier position he had held with another organisation. However, it was still the managing body of Rangers FC which placed the business into Administration. Businesses should understand that these objectives of an administrator exist in order of importance. The primary objective, as mentioned earlier, of an Administrator being appointed to a business, is to save the business. The only reason that an administrator would not have this as his/ her primary objective is if doing so would have a detrimental effect on the businesses creditors. It is important to bear in mind however, that an administrator must perform his/ her duties in the interests of the creditors, not the business. When an administrator takes up office in a business, their job and how that job is done is set out in law. It is for this reason, that the administration process is viewed by many as being very rigid. However, businesses entering the administration process are often in a dire financial situation. It is because of this that the role of administrators is very fixed, in the hope that they perform their role quickly and are able to return the business to financial health and allow it to carry on its operations independently. When an administrator takes office, they must provide a ‘Statement of Affairs’ which details the financial position of the business, along with a list of any assets and liabilities. It is from this document that the administrator will set out a number of ‘proposals’. These are the options that administrators deem to be viable, with a view to saving the business from liquidation. Creditors of a business will need to be consulted on any proposals that an administrator makes, and may well reject these proposals. This can then require Administrators to pursue alternative strategies which can, in the extreme, involve liquidating the business. The administrators of Hearts, leading accountancy firm BDO, in-gathered all of the financial information regarding the club, and set out a proposal for saving it. The hope was that the club would be able to be sold as a ‘going concern’ to another interested party. In order for this plan to succeed BDO had to engage in discussions with the controlling shareholders of the club, Lithuanian banks UBIG and Ukio Bankas, which held 50% and 29.5% control in the club respectively. Both organisations ultimately agreed to sell their interest in the club – owing to both going through liquidation – to an approved interested party. An interested purchaser for the 80% shareholding was found in Edinburgh businesswoman Anne Budge and her company Bidco 1874. Neither of the organisations rejected Bidco’s offer to purchase their shares for £2.5 million. As such, Hearts has been saved from liquidation, and is likely to exit administration following the completion of the necessary paperwork. The administration of Dundee in late 2010 is the second time the club has had to make use of insolvency procedures. When administrators PKF took office, having brought together the relevant paperwork and analysed the financial position of the club, Dundee was found to owe £2 million in debt. On close inspection of the debt, administrators found that of the clubs £2 million debt bill, £420,000 of this was owed to HMRC in unpaid taxes. As with other football clubs, PKF hoped to save the club as a viable business and having collated the outstanding debts, invited interested parties to bid for a controlling interest in the club. As has been the case with many football clubs in administration, the fans of Dundee raised £150,000 with a view to purchasing a controlling interest in the firm. This offer was presented to creditors which was largely agreed to – a majority accepted this proposal, while HMRC rejecting it. The fans organisations, Dundee FC Supporters Society with support from other external investors, gained a majority shareholding in the club and now sit on the management team. The club exited Administration in May 2011. Gretna entered administration in late 2008, and It was administrator Wilson Field that was called on to assess the clubs financial health. Following a close inspection of the business and its assets and liabilities, the club was found to hold assets valued at £1 million. However, the club was in debt to creditors for the sum of £4 million, with approximately £600,000 of this bill being owed to HMRC in outstanding tax liabilities. The administrator set about the task of outlining proposals to save the club as a viable business and potentially sell it to other interested parties. While there were numerous reports that the club was in talks with at least one interested buyer, this never materialised in an offer to purchase. As a result of there being no such offer, administrators were forced to liquidate the club, and all of its assets. This ultimately led to Gretna FC ceasing to exist as of August 2008. However, a body of dedicated fans in the Gretna Supporters Society, helped form the new club, Gretna 2008. This football club now actively participates in Scottish football. The administration of Rangers FC is arguably the most famous in Scottish football insolvency history. As a result of the clubs failure to pay the necessary taxes to HMRC, the club entered administration in February 2012, with financial advisers Duff & Phelps acting as administrators. Duff & Phelps went about the business of analysing the clubs financial position, with a view to setting out options to save the business, which was found to have a total outstanding debt of £134 million. Administrators hoped to save the club by way of a Creditors Voluntary Agreement, and a sale to an interested party. However creditors, notably HMRC, rejected this option. This forced administrators to investigate the liquidation of the club, ending its existence. Duff & Phelps ended their administration of Rangers FC in late 2012, and BDO took up its post as liquidator of the club in October 2012. Rangers FCs liquidation allowed for the clubs ‘business, history and assets’ to be sold off. This is precisely what happened, and was sold to Sevo Scotland Ltd. The historic football club, Rangers Football Club plc, formally ceased to exist when liquidation was completed and the assets of the club sold to Sevco Scotland Ltd. A new body has been formed which uses a similar name as its historic predecessor, but whether this new firm is a continuation of it is subject to debate. The experience of Scottish football clubs of insolvency laws has been largely positive, with many clubs having exited Administration and now actively participating in Scottish football. However, there have been some casualties. While the administration process will look to preserve viable business, circumstances may prevent this from being possible and may result in clubs ceasing to operate and being permanently removed from the playing field. The financial affairs of football clubs are treated no differently to that of normal companies by the law. The role of the administrator is set out very strictly in law – they must abide by very rigid rules. Most clubs have benefitted from the appointment of an administrator and gone on to financial viability.